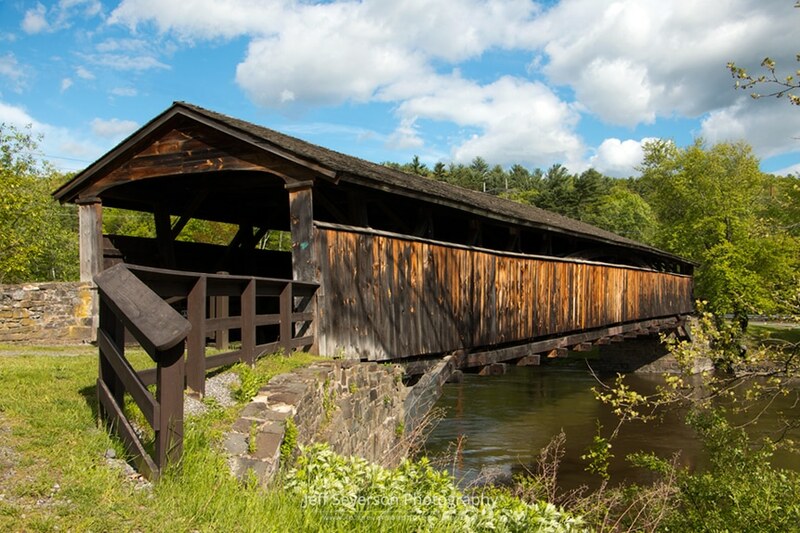 A shot from the North end of the 2nd oldest covered bridge in New York, Perrine’s Bridge, on a partly cloudy May afternoon. The bridge, which is located in Rifton, was built in 1835 and named after a tavern keeper, James Perrine, who operated an inn in the area in the 1820s. This photo was taken with a Canon EOS 70D at 22mm on May 15, 2017.